Przeczytaj wpis po polsku tutaj. There is a very special event in the IT and business industry ahead of us, IBM THINK 2019. Over 30 000 participants will have the opportunity to meet us on February 14th in San Francisco. What are we going to talk about? TASIL – a monetization platform created by TUATARA, processing massive amounts of data in real time, has been operating in Oman for almost a year now. Designed based on IBM software, using deep industry knowledge and ensuring the highest level of data security, the TASIL platform transforms telecommunications operator's data into business value. The TASIL self-service platform can be used by the operator's business clients, enabling them to carry out hyper-precise, multi-channel marketing campaigns in real time. TASIL offers customers filters and behavioural segments which, based users’ data (demographics, location information or their behaviour), provide TASIL with tips to find the right recipients for a particular campaign. In practice, this means that TASIL allows, for example, a café to send coffee invitations to women who often shop and who are just passing by. Accurate measurement of conversion from advertising also allows precise retargeting of the group of recipients in other communication channels, for instance in social media. data as a service – anonymous, aggregated data is sold to intermediaries or to end customers, e.g. telecommunications operators sell data on the location of their customers to local authorities, who, using it, can plan traffic management systems way better. Retailers (e.g. Kroger) sell data collected by loyalty cards to food producers, who, thanks to it, may better understand the needs and shopping behaviour of their customers. insight as a service – company data is combined with data from external sources and with the support of analytical models, business insights are created. AkzoNobel (a producer of dyestuff, pharmaceutical and chemical products) has created a model that enables ship operators to save on fuel and reduce carbon dioxide emissions depending on the coating used on the ship. The model, available through a mobile application, allows comparing different scenarios and optimizing ship operator’s investments. analytics - enabled platform as a service – the most complex of the models, offers the greatest value to the end customer, though. The companies provide data on the cloud platform which, thanks to the use of advanced real time analytical processing algorithms, is enriched, tailored to the customer's needs and possible to be used in a self-service model. Predix platform, developed by GE, provides integrated and technology-based energy management systems (EMS). Thanks to Predix, GE provides clients with predictive and prescriptive analysis of energy consumption and maintenance, which then enables cost savings by simplifying energy processes. The TASIL data monetization platform, created by us, is an example of practical and successful implementation of the third model of monetization. Although, the model has been created together with a telecommunications operator, TASIL is a solution for a company from almost any industry. Having large amounts of customer data and wishing to make it an additional source of revenue while maintaining high standards of individual customer data protection is the only condition. 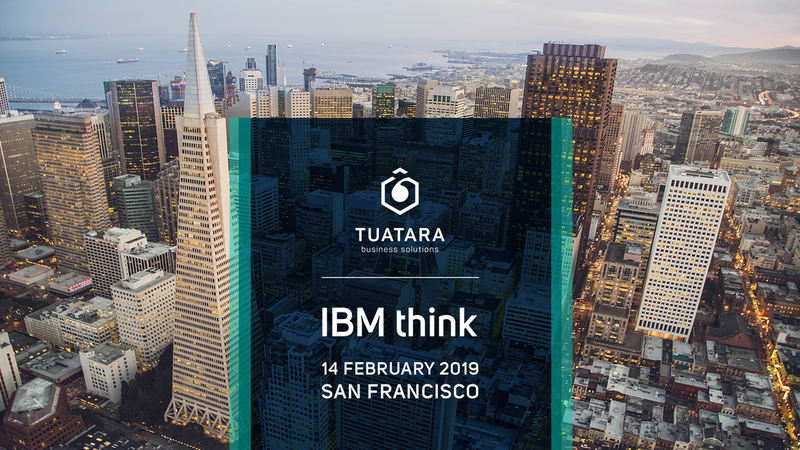 TUATARA has been invited by IBM not only as an expert in data monetization in the applied data model, having practical knowledge in this field, but also as an expert who can present their idea for a 4th visionary model of data monetization to the largest companies from all over the world. We will talk about the fourth model of data monetization at one of the biggest business conferences in the world. This year, IBM Think will take place in picturesque San Francisco. February 12-15, 2019 more than 30 000 participants will have an opportunity to participate in over 2 000 business and technical sessions led by the best world specialists and innovators in the industry. The spectrum of topics to be discussed is extremely wide – from Cloud, Blockchain, IoT, Quantum Computing, AI, to Big Data and the latest technologies used in business. More on the new model and pioneering solution during the Effective real-time marketing and data monetisation based on combined data from multiple industries presentation, on Thursday, February 14, from 15:30 to 16:10 (GMT-8), within a session 1873A (room 302, p. 3, Moscone South) by Krzysztof Goworek, Chief Innovation Officer, TUATARA. Feel invited to register, participate and get the latest news on IBM Think 2019 event’s!